On a February 9th blog post, Park Place Property Management listed the top 5 management companies in the Boise area, which listed First Rate Property Management as #1. As they explained in their opening paragraph, investors need to be well informed and educated when it comes to choosing the right property management company for them. FRPM can not agree more. Investors need to interview property managers and choose the one that is the best fit for them. For example, FRPM only manages in the Boise, Meridian, and Eagle areas and an investor that we had been working with recently identified a single family rental in Kuna. So we referred them to one of our fellow colleagues. Its an honor to be ranked #1, but even greater, is to see the industry leaders acknowledging that with the growth of the Boise and Meridian areas, landlords have many options and should do their homework and select the right property manager. We’ll take it even one more step and suggest that renters also do their own research before choosing a rental. Below is the full blog post from PPPM. Who Are The Best Property Managers? As Idaho’s largest, professional management company, we are continually expanding our portfolio of over 4,000 rental units throughout the Boise, Meridian, Nampa, Caldwell, and other surrounding areas, and are always excited to be meeting new real estate investors. 1. First Rate Property Management: Over 20 years, First Rate Property Management has become the Boise based property management company that it is today, all from referrals. Their largest source of referrals are from their very own clients. Why? Because unlike most other companies, they are investors too. Their client’s real estate investments perform well and because of that, they tell all of their friends and family to invest in Boise. 2. Realty Management Associates, Inc: Realty Management Associates, Inc., CRMC® (RMA) has been in the business of management of single-family homes and small apartment properties since 1980. RMA has maintained a history of solid, long-term client relationships throughout Boise, Nampa and surrounding areas.These relationships were built on sound property management skills, owner communication, tenant solicitation and screening, maintenance supervision, and comprehensive accounting practices. 3. Bolton Property Management: Bolton Property Management is a comprehensive property management company serving communities throughout Idaho and Utah. They are dedicated to providing superior services that consistently exceed client’s expectations through Industry, Integrity, and Innovation. 4. Chapman Properties: The Chapman family has devoted the last 20 years in developing their expertise in the business of managing people and property in the Ada and Canyon County areas. They focus on exceptional management of homes, condos, and townhomes. Chapman Properties is a family owned and operated business and plans to continue this legacy for many years to come. 5. 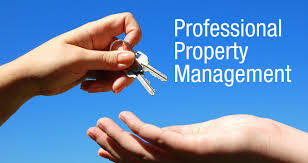 Boise Property Management: Boise Property Management offers both landlords and residents a professional experienced staff with unrivaled quality and property management services in the Treasure Valley. Their services include property management for Residential Homes, Duplex, Tri-Plex, Four-Plex and Multi-family Apartment Communities. In addition to their property management services, they also have an exclusive property maintenance division dedicated to rentals maintenance and repair needs. We commend all these great companies for being active members of NARPM (National Association of Residential Property Managers) and IREM (Institute of Real Estate Management). If you are shopping elsewhere for the best property management companies to help with your investment needs in the Boise, Meridian, Nampa, and surrounding areas, consider getting quotes from any of these 5 great companies. We are always available to help you or your clients make the best decision for your investments.